Add pepper and scallions; cook 1 minute. Add soy sauce, sugar, Asian fish sauce, and coconut milk; bring to a simmer (do not boil). Remove from heat; stir in cilantro or basil if using. Brush fish with 1/2 teaspoon oil; sprinkle with 1/4 teaspoon salt. I know I’ve commented on this before but thank you, thank you, thank you for listing the most recent reviews FIRST in order of receipt. No more having to scroll and scroll to find current reviews.. Thank you for listening. This was a delight. 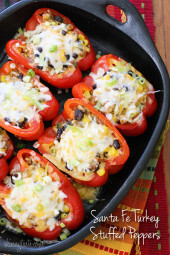 As Gina mentioned, this recipe makes one look like they know about seasonings! We loved it. I served it over asparagus not rice, and we found ourselves using a spoon to enjoy more of the peppers and onions, but serving it over rice would be yummy as the rice would soak up the yummy flavors. We are just trying to do lower carbs these days. Another Keeper! Every Skinny taste recipe is as far as we are concerned! I have recently become a fan of Indian spices and cooking. If this was not a Skinny Taste recipe I don’t know if I would have tried it, but since it is, I knew it had to be good, plus the reviews were overwhelmingly positive. We loved it. 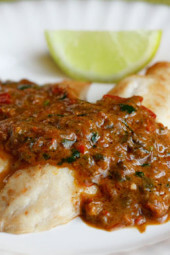 Just enough spice and heat, but not too much , sauce is perfect for a mild fish. Served with rice for my husband and cauliflower rice for me. Sides of some steamed green beans, carrots, squash. Will be making again. Thank you. Oh my! We love this recipe! I could eat the sauce with a spoon like soup it’s so delicious! I have also served the sauce over broiled chicken breasts and it turned out as great as when I’ve made it with the tilapia! Skinnytaste forever!!? Silly question, but is it regular yellow curry powder (indian)? This was the first recipe from this website that I have tried and it was a hit with my husband, he said this recipe was a definite keeper . Wonderful flavor and easy to make. Will definitely be making this again and again. Just wanted to say that this has been our favourite fish recipe the last 6 years, so thank you. I don’t like to use tilapia so we usually make it with another white fish fillet, but it always works. This is my first comment although I’ve been using your website since my Weight Watcher coach told me about it nearly 2 years ago. I appreciate that you went back & put in the Smart Point value on this older recipe. I’ve lost almost 50 lbs while we’ve been having the most tasty meals ever..THANK YOU! This is one of your best, & since it has 6 servings of sauce (& there are only 2 of us), I’m gonna try it with shrimp/scallops & chicken. Absolutely brilliant sauce! Congrats Lindy, great job! Glad you enjoyed this! I know this is one of your older recipes, but I decided to try it as I had almost all the ingredients on hand and WOW! 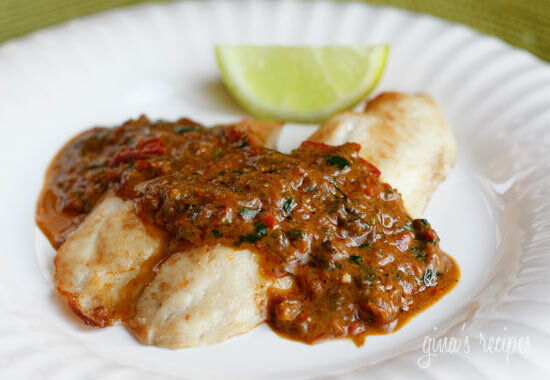 The sauce was basically impossible to mess up and made the tilapia taste incredible. I served it with couscous to help soak up the deliciousness. I made this for supper and wow the sauce is amazing. This is my first time leaving a comment. I just want to say I use your website to make my dinner plans for the week. Thank you for making me look like a genius in the kitchen. Before I discovered your website I was so bored with my meals. Not anymore. I love your recipes. They are so flavorful and healthy. This is probably obvious to most, but I’m a novice. When you use your mini food processor, do you dump all the sauce ingredients in or do it in steps as in the instructions? Thanks! I think she meant chopping the ingredients (bell pepper, onions, cilantro) not pureeing the sauce. Delicious – we are only 2 people so i froze remaining sauce for another time and I’m already excited for it! I couldn’t find tilapia so i used LING (Australia)… I’m sure any white fish would work! Served it on rice with some bok choi on the side. How much sauce can you include with the fish for this amount of points? Sorry, I just divided the sauce, I don’t have an actual measurement (older recipe)! I had some scrawny flounder filets and made this dish.. I used the entire amount of coconut milk.. Oh my gosh!. I can’t wait to make again with some better fish. I saved the leftover sauce to have for lunch tomorrow with grilled chicken and brown rice and steamed broccoli from my garden. This is a true keeper! Gina, this was amazing. I don't usually comment, but it looks like no one has commented in a while. I wanted to make sure people still appreciate it!! My boyfriend is a very hard person to convince to eat fish, and he ate two full servings of this saying how much he loved it. We used wild cod (wegman's frozen individually) because of all the bad stuff I hear about farmed tilapia, but I'm sure that's just as tasty. Went low carb and made a Thai cucumber salad to go with it. I highly recommend it! HI Gina, what is curry paste and where in the grocery store can I find it? I would love to make this for my husband! Curry paste is in the section where you find soy sauce and coconut milk. It’s in a small glass jar on the shelf. Good luck! Made this last night – I can't stop raving about it! Brought leftovers to work and everyone was asking about it. I eat a lot of Indian food and this is up there with restaurant quality. As much as I loved the tilapia, I think I may try with shrimp or scallops next time. Thank you for this one!! Seriously… this meal was so amazing. I added some extra cayenne pepper, and served the fish with rice and snap peas. Best meal I've had in a long time! 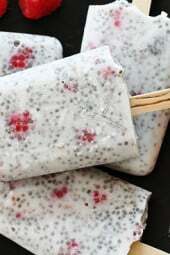 This recipe looks amazing and I am making it this week! My husband does not like green onions, scallions or anything of the sort. If I were to leave them out, would you suggest that I adjust the other ingredients in the sauce or just leave it be? This was absolutely awesome! Great flavor on the curry sauce. I love Thai food but usually avoid curry in the restaurants because the coconut milk has so much fat. This was a very happy substitute! I can also envision using this basic sauce for other curry dishes. Note that it was very mild….if you like heat, I suggest bumping up the red curry paste a bit…. The flavor of the curry was good but there was a strong taste of undercooked garlic/ginger red bell pepper which was unpleasant. I used toasted sesame oil because I had that at home instead of dark sesame oil per the recipe. Do you think the oil made a difference? hey Gina, what measurement of the sauce fits into the calorie count? 1/2 cup? 1/4 cup? thanks! I was hesitant to make this because I don't usually like curry but the coconut milk and sugar added the perfect sweetness! it was a hit! This was amazing! My husband doesn't like Tilapia very much but I had some and needed to cook it up. He told me I can buy tilapia any time I want to as long as I use this recipe! Great gob! Love this web site. Thank you for all your time and effort to help us out with great food! Oh.my.gosh. THIS SAUCE! Seriously, it was phenomenal. Thai food is my absolute favorite to eat, but I've always struggled with cooking it. No matter how closely I follow the recipe, it seems like it never turns out right. This time- it was a hit! My curry hating husband LOVED it and I couldn't get enough. This will definitely be something we eat over and over again. In the future though, I might try this with shrimp or chicken (maybe a grocery store rotisserie chicken chopped up), because I did find that I wanted some different textures in the dish as the rice, tilapia, and sauce are all sort of soft and creamy. SO DELICIOUS though! If you're on the fence about trying this- do it! I also added some crushed red pepper flakes to mine to up the spicyness and they worked perfectly. You are a genius, Gina. You've helped me and taught me so much about healthy eating! You've made the transition from college girl eating (greasy burgers, mac and cheese, bagels and cream cheese for breakfast every day) to healthy adult eating so much easier. I never feel like I'm cutting calories on your decadent, delicious food. I hope you know how much we all appreciate you! First of all TY for all your delicious healthy recipes – I look forward to seeing you in my "inbox".You are a god send for me right now – trying to lose a few #'s. I made this tonight and my sauce, was delicious, but didn't look anything like your pic. Mine was like soup…what did I do wrong? The way mine looks I should have used 1/4 of a can of coconut milk. Made this recipe last night and it was amazing. Having never made a curry before I was pretty intimidated, but the directions were super easy to follow and I couldn't believe I had made something myself that tasted sooo good. I did follow some other's directions and only used 1/2-2/3 the can of coconut milk though. Wow … I could eat a whole bowl of this sauce. I only added 1/2 can of lite coconut milk and cooked it longer, but it was still runnier than the photo. But taste is king. Had cod to use, and it was a delicious combination. Made this for the third time tonight but instead of broiling the fish, I poached it in the sauce while the rice cooked. Saved a dish and it was still AMAZING!! I'm not a big fan of bell peppers. 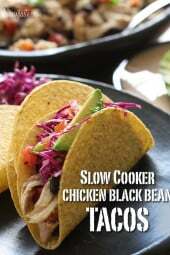 Is there a good substitute like a Poblano pepper or would that change the dish too much? This recipe looks outstanding!!! I can't wait to try it! Question for you, can I freeze the sauce in small portions and bring it out of the freezer as I need it? Made this last night. The big D Delicious!!!! I used only a third of the can of coconut milk and I added sliced zucchini because we weren't having rice and wanted to bulk up on veggies. Can't wait to make it again. Just got done making this. It was DELICIOUS!! My kids loved it. I used frozen peppers and ground ginger. Still came out really good! I'm glad to be able to have nice recipes likes these so my kids can taste different foods from different parts of the world. This was amazing! Wish I put the onions and pepper in the food processor, will do it next time. My hubby's picky…likes the flavor in the sauce but not the chunks. This will definitely be going in my regular recipe rotation! I lived in Thailand for three years, and I decided to follow this recipe, quite authentic and the cilantro works well, and is definately something u would find in a Thai curry…next time I may try with green curry or add a birds eye chilli pepper to it cuz my fiance is so used to me making really hot Thai dishes…it was so good I had 1 1/2 servings, good thing I exercised today! WOW! Loved it – thanks so much! Tasted so authentic and even my picky meat and potatoes husband LOVED it. Unreal how good this is. Your recipes always have so much flavor and my husband RAVES about them. This is definitely going in my rotation. Wow.